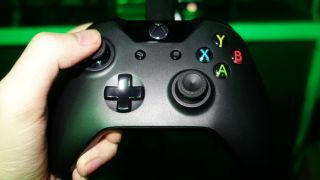 Video game addiction will soon become a diagnosable metal health condition, at least in the eyes of leading international health officials. Poznyak said the condition leads to “significant distress and impairment in personal, family, social, educational or occupational functioning.” Overall, the research suggest gaming addiction is very similar to a gambling disorder and substance use disorders – in fact, the 11th edition of the International Classification of Diseases, listed Gaming Disorder right below the former. Patients must exhibit negative impacts like “disturbed sleep patterns, diet problems, a deficiency in the physical activity” for at least a year before a diagnosis would be made, say document and Poznyak. Of course, we imagine there will be plenty of those diagnosed within a shorter window. The entire medical world isn’t in support of the classification. Anthony Bean, a licensed psychologist and executive director at The Telos Project, argues that gaming "more as a coping mechanism for either anxiety or depression." Additionally, WHO lists both online and offline gaming as a disorder, but the former can be an enriching experience as users can forge friendships and even romantic relationships through multiplayer games.